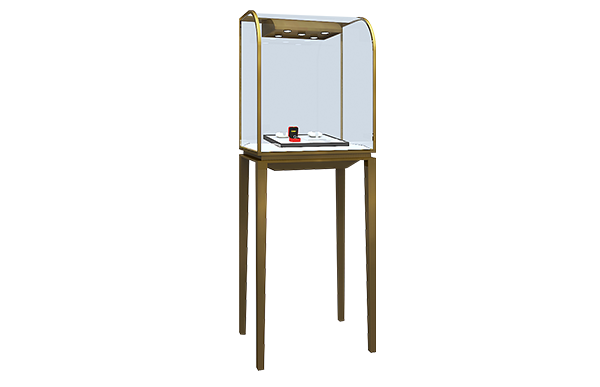 This showcase use stainless steel as raw materials,along with temper glass,hardware,led spotlight,with baking paint that enable the display showcase appear with wonderful lust. 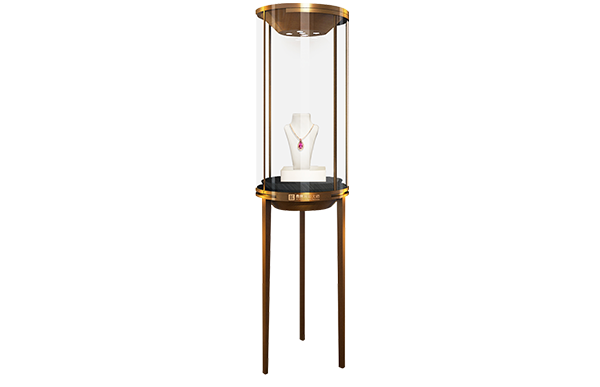 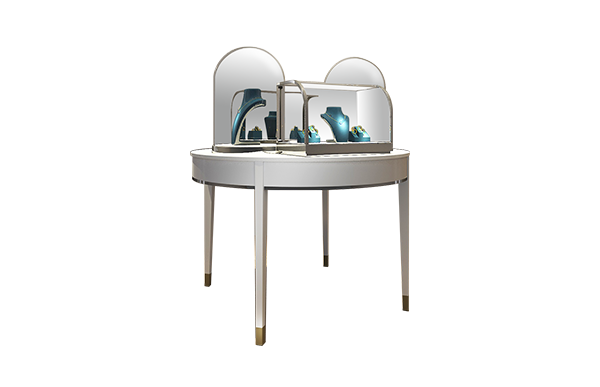 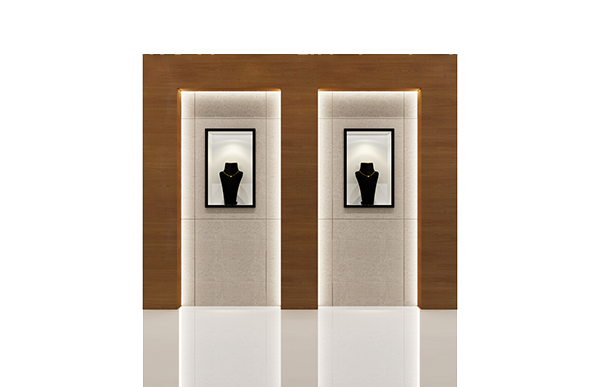 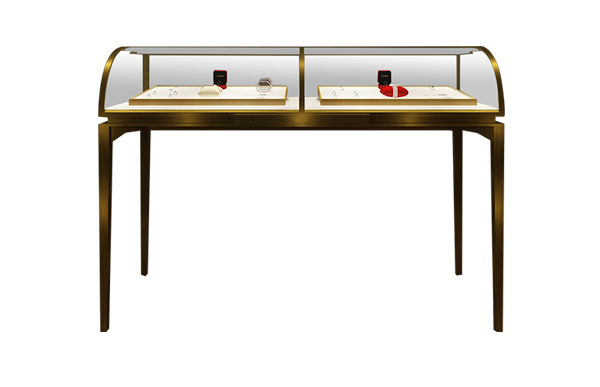 This jewelry showcase use stainless steel as raw materials,along with temper glass,hardware,led spotlight,with baking paint that enable the display showcase appear with wonderful lust. 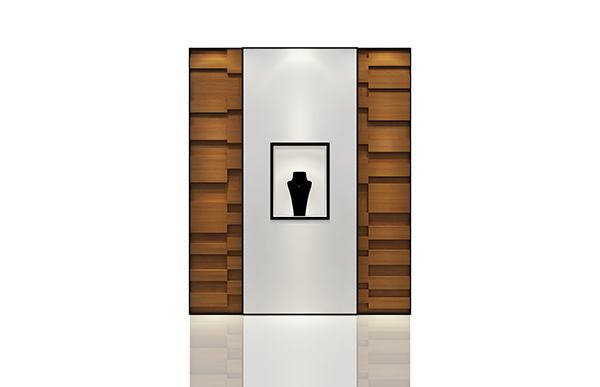 This item adopt stainless steel and temper bending glass which looks very attractive and luxury. 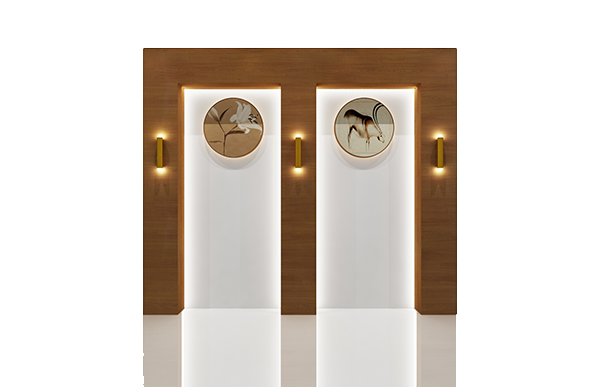 This section showcases a three-dimensional symmetrical design, the cabinet surface using wood paint process, cabinet white paint with engraving lines and cabinet lights in the design of the product. 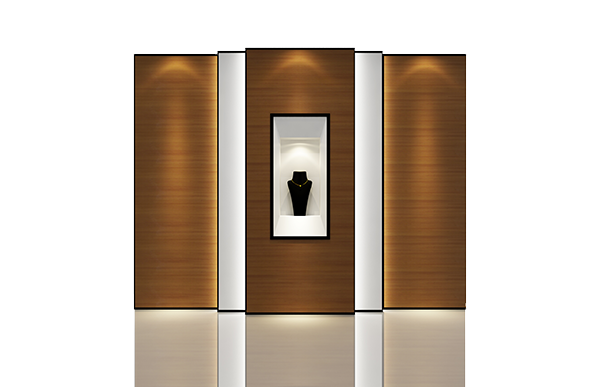 This showcase uses high-temperature wooden paint, bright color, asymmetrical levels to create a unique sense of space and imagination, the center cabinet highlights, so that products are more luxurious. 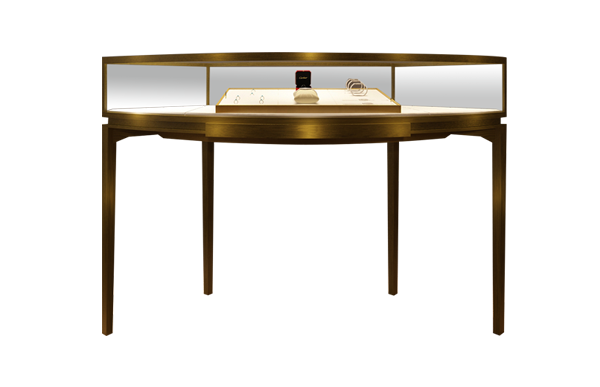 Exquisite and elegant design style, all details reflect noble and timeless, allowing customers to savor the brand's culture.